Everyone will have a blast in the Dolce & Gabbana Kids® D&G Tropical One-Piece Swimsuit. Swimsuit is adorned with a family of pets on an island. 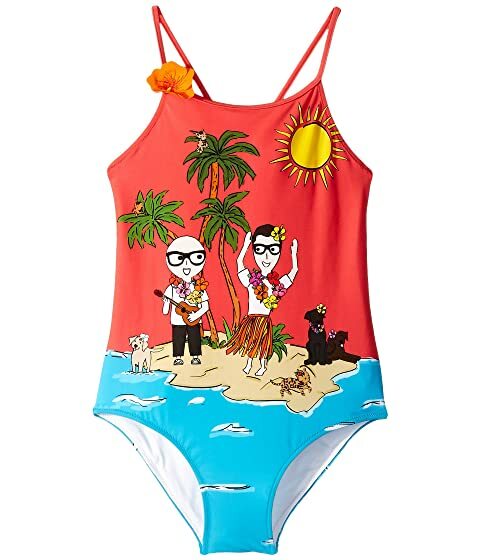 We can't currently find any similar items for the D&G Tropical One-Piece Swimsuit (Big Kids) by Dolce & Gabbana Kids. Sorry!